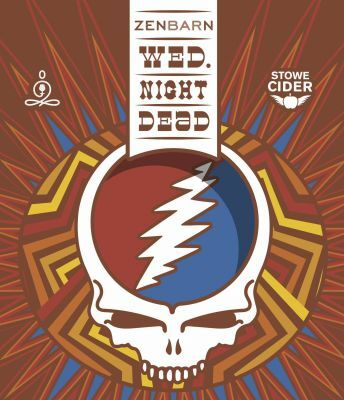 Stowe Cider and Zenbarn present a weekly tribute to the music of the Grateful Dead led by Vermont's own Zach Nugent, lead guitar/vocalist for Melvin Seals and JGB! Zach's playing is eerily reminiscent of the late-great Jerry Garcia. Each week will see guests including Daniel Marc and other local and national touring artists. When Zach is on tour, the band plays on with players from Vermont's Dark Star Project & special guests! Alongside this great music, enjoy our $10 burger and beer/cider specials! This event is typically free, however cover charges will be instituted when we bring in certain special guests or have a full band performance. 53 times over the past 30 days.